Concussions have been a hot topic within the last couple of years, and rightfully so. It seems there are stories in the news almost every day about another professional athlete entering the concussion protocol and undergoing evaluation and treatment. 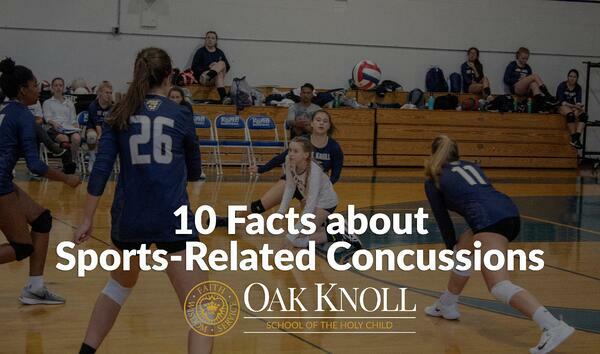 But professional athletes aren’t the only ones suffering from this serious condition – young children and high school student-athletes are just as susceptible to brain-related injuries. It can happen at any age, to boys or girls, and just as likely to occur on the playground as well as the football field. Schools now take many precautions to educate, diagnose and manage sports-related concussions to prevent long-term damage and to get athletes quickly and safety back on the playing field. Below is a guide to help parents arm themselves with the facts surrounding sports-related concussions, diagnosis and treatment. 1. A concussion is a mild form of brain injury that causes a temporary disturbance in the brain’s cells. 2. 300,000 concussions occur every year due to sports-related injury. 3. A common misconception is that a person must be hit in the head to receive a concussion, but a significant hit to the body can result in a whiplash effect, resulting in high enough forces to the brain to cause a concussion. 4. Another common misconception is that all concussions are the same. A person can receive multiple concussions that can affect them in extremely different ways (e.g., the force of the hit can be different, the types and lengths of the resulting symptoms, etc.). 5. A concussion can have a more serious effect on a young, developing brain, and needs to be addressed correctly. 6. A concussion or head injury will not resolve in a typical linear fashion like most orthopedic injuries. 7. Symptoms may not show themselves for several hours – or even days – after the initial injury. 8. Returning to physical activity too soon before being cleared from a concussion puts your child at risk for Second Impact Syndrome, which is a condition that causes the brain to swell rapidly from another blow to the head. 9. Head injuries can cause lasting damage if not treated properly. 10. When handled correctly, children will make a full recovery from their concussion. NOTE: As with any sports-related injury, it is important to remember that if you suspect your child has a concussion, you must seek the appropriate medical care.